Call for Participants has always been about two things: bringing researchers and participants together, and helping both these groups in the world of research participation. Today, we are happy to announce a big leap forward in the latter by releasing our improved Help Centre. Not only is this is a great resource for you to ask any question about the CfP platform, but also to find helpful tips for promoting your research study if you are a scientist. 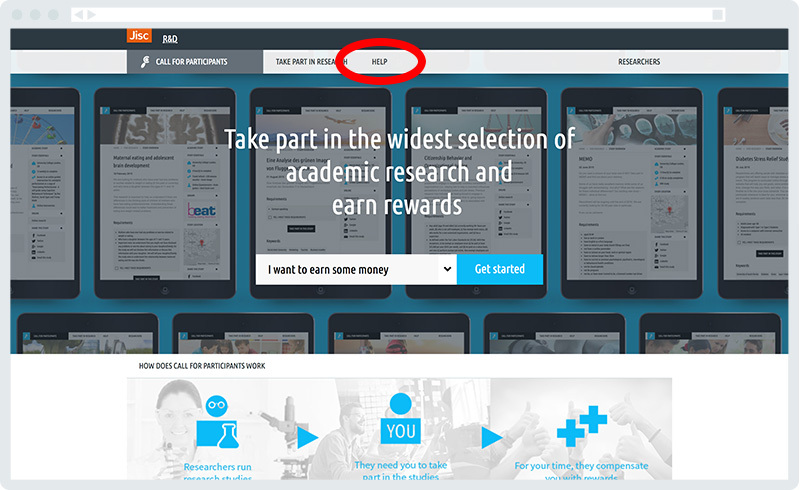 Participants can also find useful answers to questions about taking part in scientific research studies. And even if our selection of articles doesn't answer your questions, you have a quick way to get in touch with one of our team through live chat. You can always find the Help Centre by clicking on "Help" at the top of each page, or at the very bottom of every page under "Discover More" links.